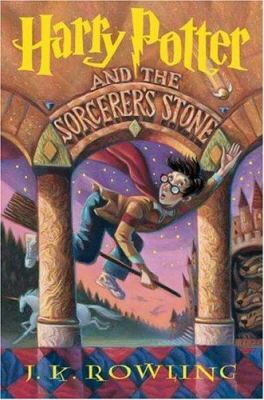 Harry Potter is an ordinary kid, or is he? He happens to find out that he’s secretly a famous wizard! Harry goes to the Wizard World with his giant friend Hagrid to go to Hogwarts: The School of Witchcraft and Wizardry. There he meets Hermione Granger and Ron Weasley who are in his house, Gryffindor. Harry goes through twists and turns as he fights a spirit who wanted to get rid of Harry when he was a baby, Voldemort. The headmaster, Dumbledore, advises Harry with complicated puzzles as Harry goes on many dangerous missions. I have many favorite parts, but my most favorite part is when Harry finds out that he’s a wizard. He was completely bewildered and dumbfounded when Hagrid, the half-giant told him the wonderful news, or not! I found out that being a wizard is not that easy. If you like magical, hysterical, and breathtaking books, you’ll love this book! This book’s genre is fantasy. This book’s story line is imaginative. This book left me feeling touched, cheerful, content, energized. On a scale of 1-5, I give this book a 5.